Usually when I hear about some too-good-to-true new flavored cookies, candies or ice creams one of two things happens. Either the story turns out to not be true or, as is usually the case, the finished product is absolutely disgusting. 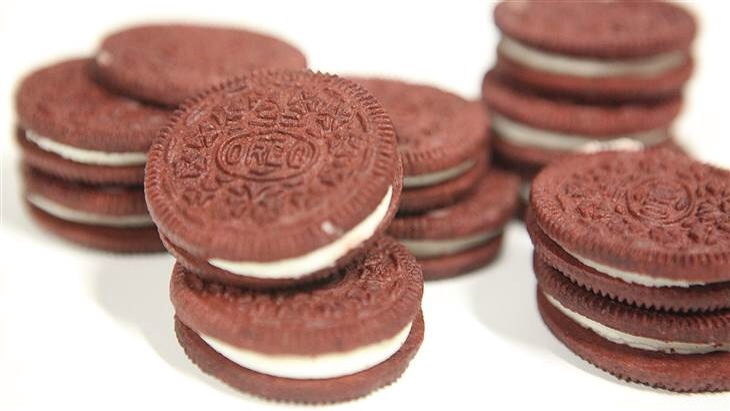 Luckily this time, the rumors that have been swirling online for a while now are true and Nabisco's Limited Edition Red Velvet Oreos are on store shelves as I type. But the better news is that they are freaking awesome! Stuffed with some sort of delicious cream cheese filling (I would not advise you to even look at the nutritional information on these little pieces of heaven!) the cookie itself is amazing. Crisp, flavorful and the perfect compliment to the filling. Yum! And best of all, these little cuties are not too sweet. I'm pretty picky about my red velvet flavored goodness and these guys totally take the cake, or um, cookie. Seriously, it's red velvet perfection! And what better way to celebrate Valentine's Day?